In my college days my room mates used to prepare this because its easy to prepare and healthy too. 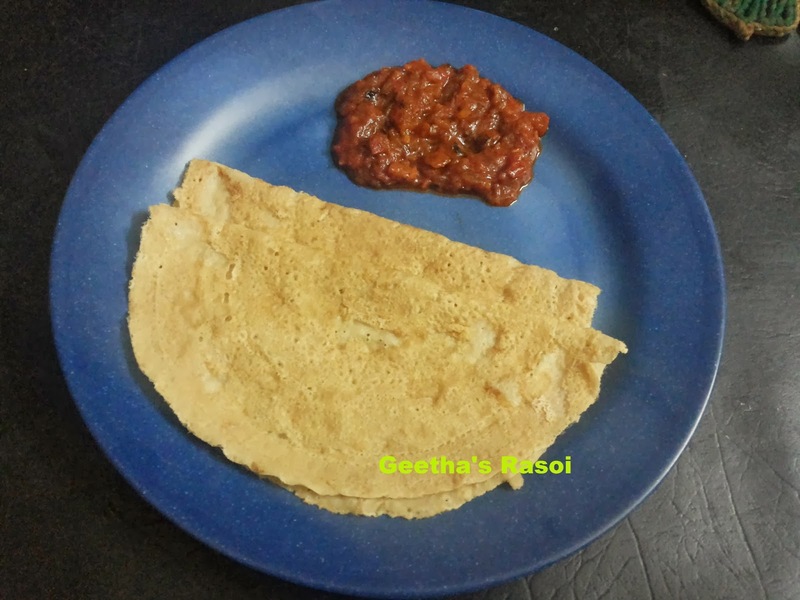 We can use wheat flour for preparing this no need to grind wheat in mixer or grinder. We used to eat this with mango pickle. But it goes well with any spicy curry or chutneys. Mix wheat flour, salt and water like a dosa batter. Heat tawa and prepare dosa from the batter. Fry both the sides. If required or as per taste we can add chopped green chilly or chopped onion and curry leaves or coriander leaves to the batter.